1938 light blue Alvis model Speed 25 known as a drop head coupe. reg FLP 75 . 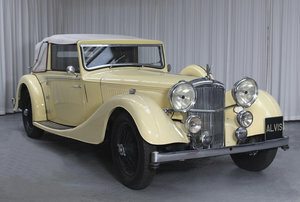 The car has a full history from original owner and excellent provenence. In good condition and used in the summertime and the occasional classic car meet. Taxed and Motd in runing order. 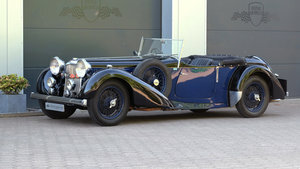 3.5 litre engine, charlesworth Aluminium coachwork. sound everyday condition Elderly owner for 25 years, wants smaller sporty car or project . Part exchange possible.